Do Pregnancy And Coffee Mix? Taking a deeper look at a study that links caffeine to low birth weight babies. 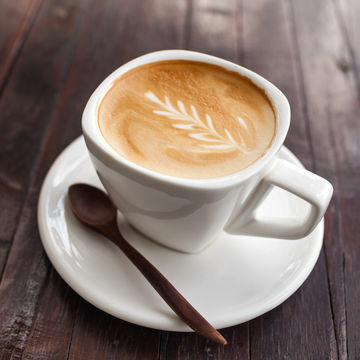 A study published in the journal BMC Medicine about caffeine intake during pregnancy indicates it might be linked to low birth weight babies, but it's not linked with prematurity. I imagine some mothers are breathing a sigh of relief and others are tossing their coffees in the trash. We've been having the caffeine debate forever with the pro-versus-no arguments ranging from theories that it might cause fetal cardiac problems to miscarriages and premature labor. After studying these theories pretty thoroughly, experts eventually agreed that a cup of coffee probably doesn't do anybody any harm and a gallon of coffee doesn't do anyone any good. After white knuckling my way through pregnancy No. 1 without so much as a drop of caffeine, I was pretty relieved when the medical powers that be finally relaxed their no-caffeine mandate. By the time I was pregnant with No. 2 (and No. 1 wasn't even 1 yet and certainly not sleeping through the night), that occasional cup of coffee meant survival. With babies Nos. 3 and 4, I was a night-shift nurse who slept maybe five hours between shifts. If my doctor had told me to give up coffee, I'd have had to quit my job. I'm not talking about a lot of coffee, probably not more than one good cup per day, but without that cup, the world came to a standstill. Was I worried about drinking coffee? Did I feel guilty about exposing my baby to caffeine? No, because for as long as there have been pregnant women and caffeine on the same planet, mothers have used it to stay awake after long sleepless nights with restless children. My own mother and countless others in all the generations before hers drank coffee, (heck, they drank martinis), and most of us turned out OK. Do not take this as permission to overdo it on your caffeine intake and for heaven's sake, don't drink martinis or any other alcoholic beverage when you're pregnant. The American College of Obstetricians and Gynecologists recommended in 2010, "Moderate caffeine consumption (less than 200 milligrams per day) does not appear to be a major contributing factor in miscarriage or preterm birth." This new study says, however, that excessive caffeine intake might produce a low birth weight baby. That term, low birth weight, is one of those phrases that's used a lot (and never in a good way), but is not well understood. The March of Dimes says: "Low birth weight is when a baby is born weighing less than 5 pounds, 8 ounces. About 1 in every 12 babies in the United States is born with low birth weight. Some low birth weight babies are healthy, even though they're small. But being low birth weight can cause serious health problems for some babies." The study indicates that for each 100 milligrams of daily caffeine intake, a baby might lose between three-quarters to 1 ounce in birth weight. That's no big deal if the baby is an 8-pounder, but if baby is a tiny little guy, then losing a few ounces might mean the difference between being big enough and being low birth weight. The findings of this study are considered observational and not definitive, meaning they didn't find a definite cause and effect correlation, but it seems to add a point back on the no-coffee side of the debate. Women carrying babies that are small for gestational age might want to be careful. The trick is to view studies like this one with an eye for moderation until there's proof positive that if you do X then Y will happen. There are studies, and then there are legitmate studies. The ones that determined that martinis cause fetal brain damage were legit. But there have been plenty of coffee studies now and most have said, don't drink too much, but don't worry about a little either. We all know coffee isn't the best nutritional choice we can make, but if the rest of our diet is healthy and we've been up all night working or taking care of a cranky toddler, there's probably no need to freak out. Jeanne Faulkner, R.N., lives in Portland, Ore., with her husband and children. And co-author of, The Complete Illustrated Birthing Companion: A Step-by-Step Guide to Creating the Best Birthing Plan for a Safe, Less Painful, and Successful Delivery for You and Your Baby. Got a question for Jeanne? Email it to labornurse@fitpregnancy.com and it may be answered in a future blog post.